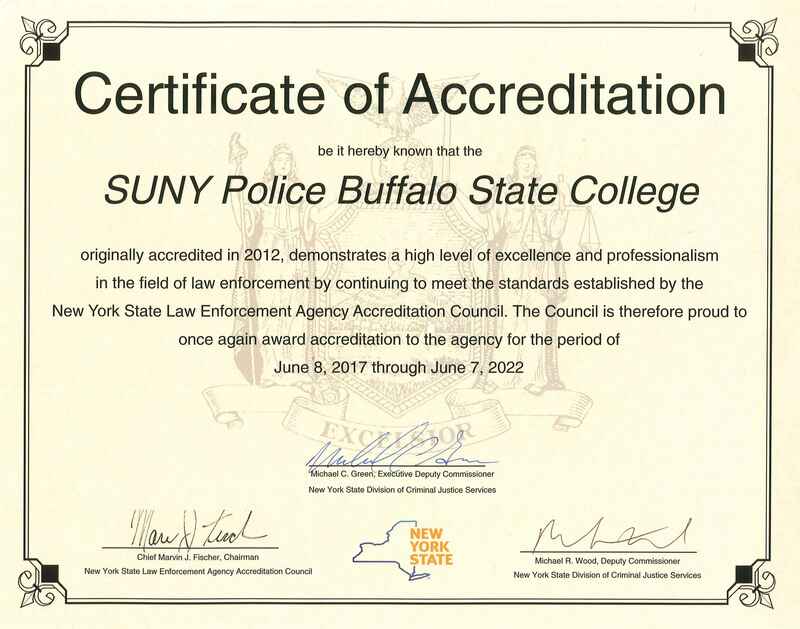 Buffalo State’s University Police Department earned police department accreditation from the New York State Division of Criminal Justice Services Accreditation Council on June 14, 2012, and earned reaccreditation on June 8, 2017. 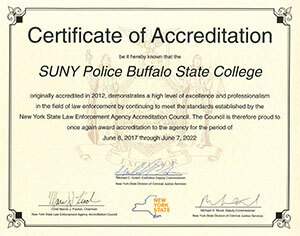 This is a significant achievement as only 25 percent of all police departments in New York State are accredited. Accreditation is a progressive and contemporary way for police agencies to evaluate and improve their overall performance. It provides formal recognition that an organization meets or exceeds general expectations of quality in the field. Accreditation acknowledges the implementation of policies that are conceptually sound and operationally effective. 4. To promote public confidence. The Accreditation Program is comprised of 110 standards and is divided into three categories. Standards in the Administrative section have provisions for such topics as agency organization, fiscal management, personnel practices, and records. Training standards encompass basic and in-service instruction, as well as training for supervisors and specialized or technical assignments. Operations standards deal with such critical and litigious topics as high-speed pursuits, roadblocks, patrol, and unusual occurrences.  The members of the University Police Department have a strong commitment to professionalism, and the desire to provide the best possible police services to the Buffalo State campus community. The accreditation lasts for five years. At that time, the University Police Department must undergo a re-accreditation assessment.